How do I restart my Vertex service? 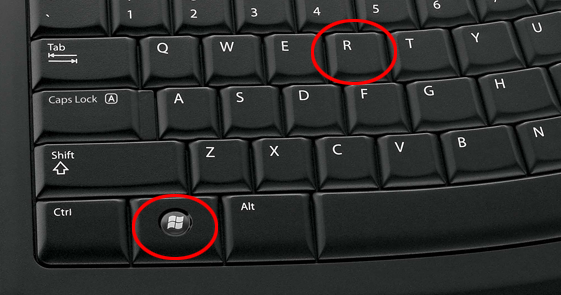 Step 1: Hold the windows button on the keyboard and press the R key. 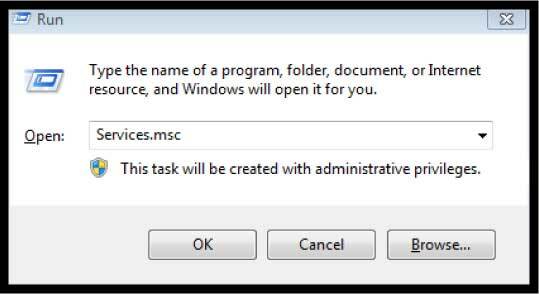 Step 2: Type Services.msc in the search bar and press enter. 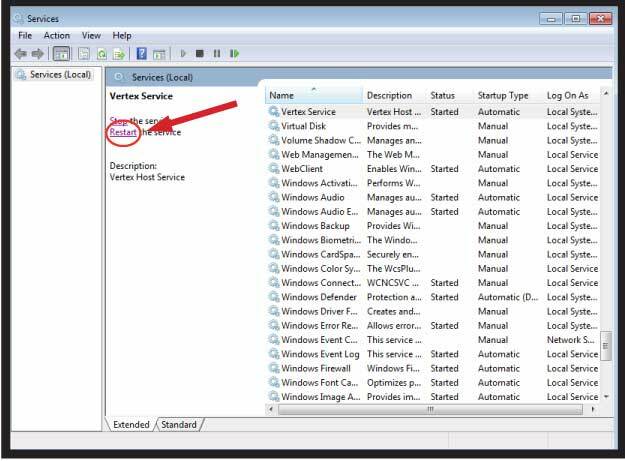 Step 3: Locate the Vertex service in the services list and click Restart.